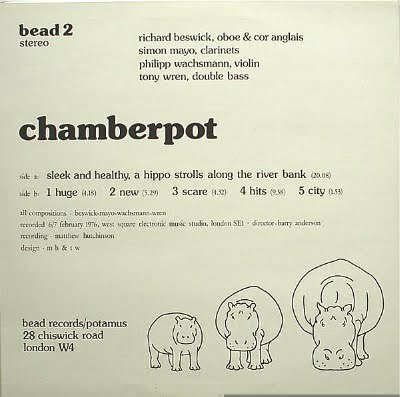 Home » Music Reviews » Chamberpot – S/T – rare rare rare jazz. Chamberpot – S/T – rare rare rare jazz. A little tiny music post today, because I wanted to feature this brilliant album that i have been listening to, that is unfortunately so rare I can hardly find any decent research info on it. But Oh my god – its STUNNING! It is extremely hard to get your hands on this brilliant album that came to fame on the Nurse With Wound list. I couldn’t even find any snippetts of sound for you, so I uploaded one of the tracks myself so we can all have a listen here. You’ll see it has this great ripped jazz feel to the music. Sporadic sound meets jazz improv so that you are teetering on that precious edge of established music conformity meets total sound art. I really like this album for that reason, as well as the fact that it (really) is very soothing to me. A huge thanks to MS fan Vinylust for providing this exceedingly hard to find Nurse With Wound list item, one of the precious few I’d managed to miss hearing so far and surely a blank waiting to be filled for many who’ve had this name bouncing around in their brain for years for the same reason. 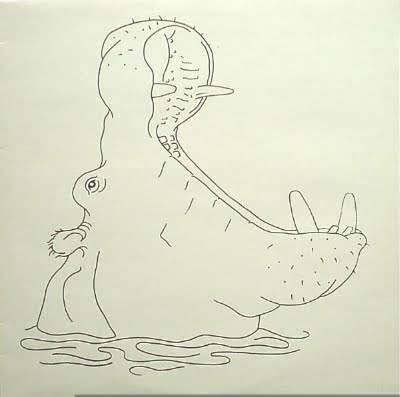 This short lived woodwinds and strings improv ensemble was led by Phil Wachsmann, a freeplaying violinist with a vast discography and a one time member of both Derek Bailey’s Iskra 1903 and Keith Tippett’s Ark. This stuff roams around in the more scritchy-scratchy end of improv exploration than the spontaneous music I usually tend to promote here (the sorta squeek-squeek-squeek-POP direction that Amy Denio once tagged chiropractic improv), but there’s no denying that this is still quite nicely accomplished work.